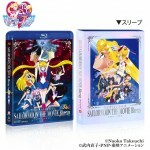 Pretty Guardian Sailor Moon The Movie Blu-Ray, a set including all three of the Sailor Moon films, was released in Japan on February 7th. 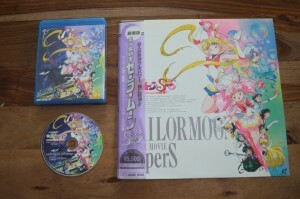 This is the first time the Sailor Moon S and SuperS films were released on Blu-Ray and the set looks really great. It also includes the Make-Up! 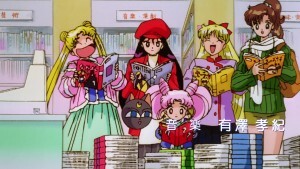 Sailor Senshi and Ami’s First Love specials which played with the R and SuperS movies in theatres as well as a handful of special features. MSRP is 15,000 yen, about $140 US. You can order it from sites such as Amazon Japan or CD Japan. 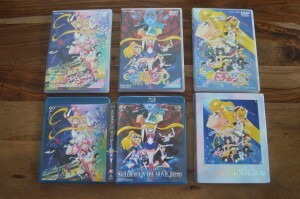 The set is Japanese only with no English subtitles. 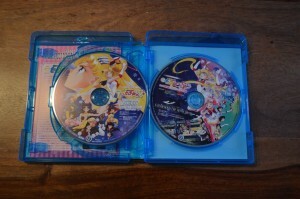 I believe the discs are region free as no region code is listed on the box but regardless Japanese Blu-Ray discs are region A which is the same region as North America. 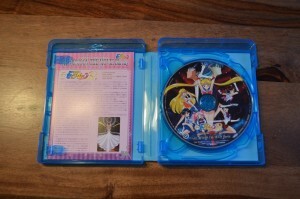 Fans looking to see the films in English can already buy Sailor Moon R The Movie from Viz which has similar video quality. Though the other films have not been announced they will likely be released eventually. A lot of people were wondering what the video quality is like. This release looks fantastic. 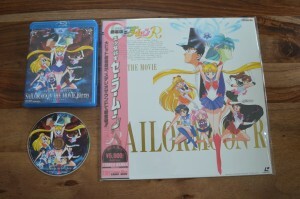 That said, so did Viz’s Blu-Ray release of the R movie. 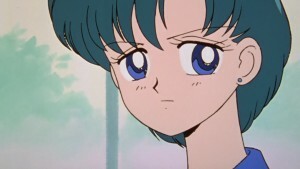 With such poor quality in Viz’s Blu-Ray releases of the original TV series many blame them for the job they did with it but their Sailor Moon Crystal and R Movie releases show that they are able to make a nice looking product with nice looking masters. These films are HD versions taken from the original film source and it shows. 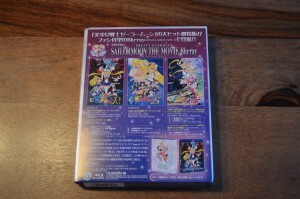 They look considerably superior to the TV series Blu-Rays which have been released in Japan as these were simply software upconverted versions of standard definition video sources. I’ve got a lot of comparison screenshots between this new Japanese release, Viz’s release of the R movie and the Japanese version. 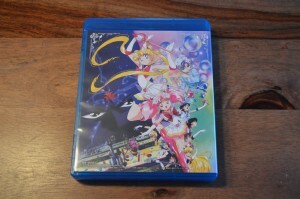 You can also compare it to the original English DVD release but this doesn’t have much value as that was such a poor quality release. 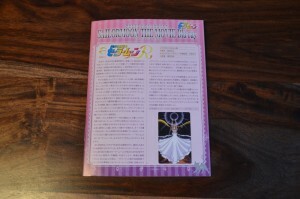 Still the English version has an unmated 4:3 picture so there is a bit more of the image to see. For all of the images in this post just click on it to enlarge and then click on the hyperlink showing the image dimensions (for example, 1920×1080) to see the full picture. These suffer from minor compression artifacts because they’re uploaded as JPEGs but you should get an idea for the difference or rather lack of any difference in quality between versions. These are just a few comparisons. 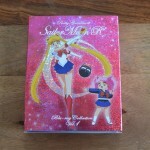 I’ll include more at the end of the post with the rest of the images of the packaging. Now about the contents. 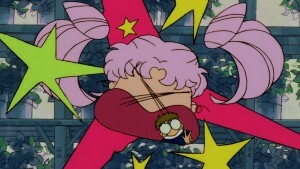 The Sailor Moon films are really a great part of the series. Due to the nature of their release they’re often overlooked. 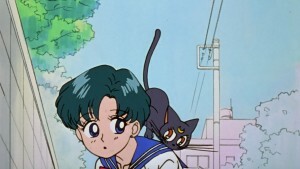 Here in North America for example they were released fairly late with the original dub and with the entire series now released subbed to stream and coming out on home video we only have the first film which has been released theatrically and on video. Though it is often hard to fit the films into continuity, they still generally follow what’s going on with the associated series. Their standalone stories are enjoyable and an easy introduction to the series for new fans. 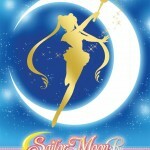 First is Sailor Moon R The Movie. 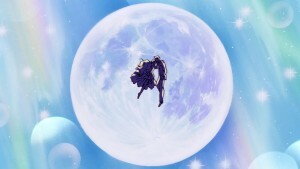 This is one of my favourite films of all time, let alone one of the better anime films and, in my opinion, the best of the Sailor Moon films. 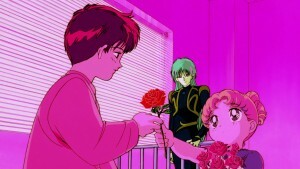 It centres around Fiore, a childhood friend of Mamoru’s who happens to be an alien. It isn’t explicitly mentioned in the film but Fiore is of the same alien race as Ail and An from the early episodes of Sailor Moon R. It’s full of all of what makes Sailor Moon great with emotional scenes, dramatic battles and of course Sailor Moon sacrificing herself and showing compassion for the enemy, which I consider to be her true strength. I’ve spoken at length about my love of this film before! It’s great. 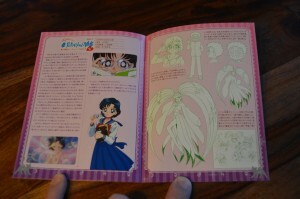 As a bonus feature with Sailor Moon R The Movie is Make-Up! 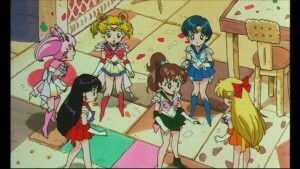 Sailor Guardians, a short which was originally shown with the film in theatres. I don’t have a great amount of love for this feature since it’s mostly clips, but there is a bit of unique animation. The quality here is not quite that of the film but better than any release of the TV series, of which it features many clips. As I mentioned in my review of Viz’s release of the R movie it seems like the original footage, which is claimed to be lost, was available back when this special was put together because the TV series clips featured throughout are of good quality authored from film source and not converted somehow from a standard definition video source as all Blu-Ray releases of the TV series have been. 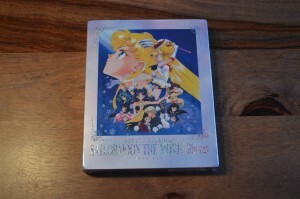 Next we have Sailor Moon S The Movie. 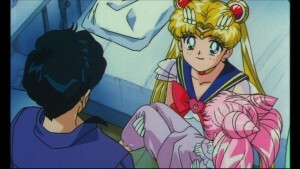 This is the only film which is based on the Sailor Moon manga as Naoko Takeuchi wrote a standalone story “The Lover of Princess Kaguya” following her trip to Cape Canaveral in the United States. 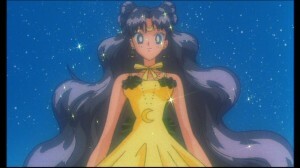 It is the story of Luna who falls in love with a man and turns into a human herself. Also some ice villain. My feelings are mixed on this one. Simply put I don’t care for it all that much. When I first saw it on bootleg VHS back in the 90s I was fairly underwhelmed. I can never really pinpoint why though. Upon reflection I find the villain uninteresting and having little to tie into the story and I think Kakeru is generally annoying and unintelligent for a scientist. His conflict with Himeko is a bit forced. Still I find the drama around Luna’s feelings compelling and certain aspects of the film are enjoyable, such as Tuxedo Mask dressed as Santa Claus. 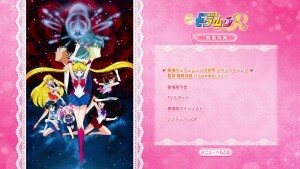 Finally we have Sailor Moon SuperS: The Nine Sailor Guardians Unite! Miracle of the Black Dream Hole. This is the only one of the films with a proper title and it’s a mouthful, hence I often just call it the SuperS Movie or SuperS The Movie, to keep with the convention set by the other films. It introduces us to Perle, or Peruru as I will always think of him due to the subtitles used on VKLL’s version of the film. 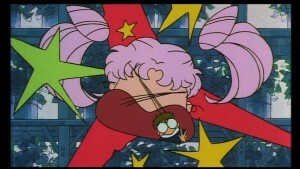 Perle is a sort of fairy, possibly a bird animated through magic, who is defecting against Badiane, the villain who is possibly an alien who is attempting to enslave the world’s children into an eternal dream like state in which she syphons off their energy. 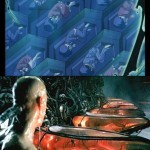 Last year I wrote an article arguing that this film’s plot is similar to that of The Matrix, which was released a few years later. I really enjoy this film. 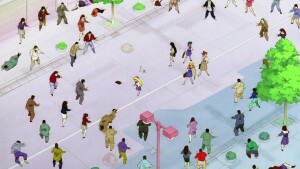 The animation is good and the story interesting. It introduces us to some fun characters and concepts. The main plot is a sort of science fiction story and the idea of enslaving people into a perfect happy dream at the cost of their freedom presents interesting philosophical questions which are fun to think about. 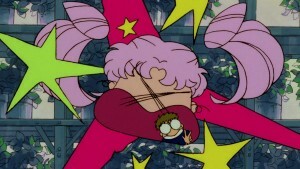 Perle’s character somewhat mimics that of Pegasus/Helios as Chibiusa has romantic feelings for him. 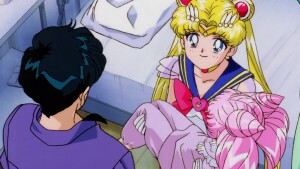 Having seen this film before watching the later half of the Sailor Moon SuperS season it was this relationship which I was originally exposed to which is a bit backwards to be sure. Along with the SuperS Movie is Ami’s First Love, a special which was included with the film in theatres. 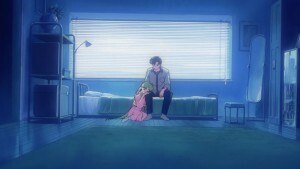 This short is entirely composed of new animation and tells the story of Ami receiving a love letter which she thinks is from a rival student but which turns out to be from a monster. Her “First love” in this case would be Mercurius though she doesn’t really have any direct interaction with this Umino looking guy. This is a funny special and well worth watching. 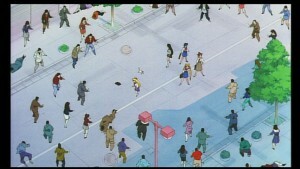 It remains some of the last bits of animation, along with the SuperS Special, that we haven’t seen an official release for here in North America. 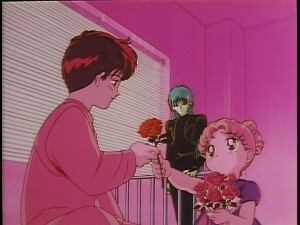 I expect that if and when Viz gets around to releasing the SuperS film that it will include Ami’s First Love with it. I’m curious to see what rating it gets as it features a semi naked Ami getting out of the tub, but it really isn’t anything too explicit. 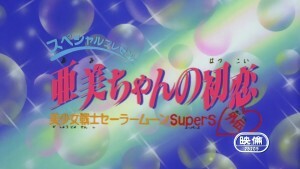 Quality for this special is quite good and similar to that of the other films. 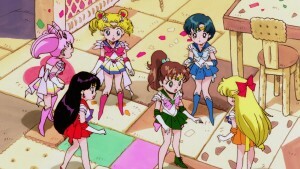 As with the rest of the release the masters used appear to be the film source which means a high quality HD image. 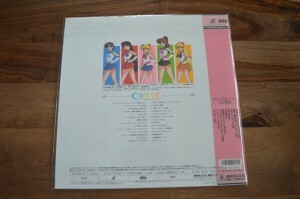 As bonus features go we have the same thing which was including in the laserdiscs and I do mean the exact same thing! 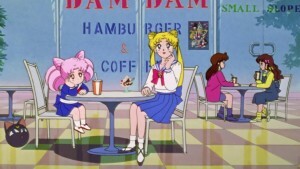 All special features are standard definition source, converted fairly poorly to HD. This includes three commercials for every film, “clean” (no credits) opening and ending themes and an interview which is included with the R Movie. The commercials aren’t that great. Each has one which was clearly made before any animation on the films was done, in HD, another is a short one with clips and finally there’s a longer commercial with more clips. 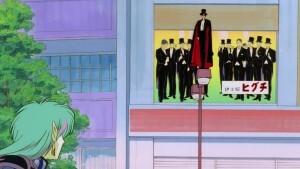 One interesting aspect of the commercial for Sailor Moon R The Movie is that it includes a clip of Tuxedo Mask when he first appears with a different billboard. In the film itself the billboard is of men in Tuxedos. 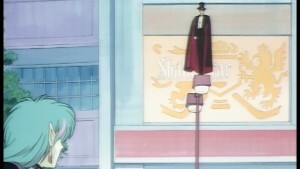 Tuxedo Mask blends in with the billboard and then we see that he’s actually separate from it and standing on a lamp post. In the commercial there are no men in Tuxedos on the billboard which makes us wonder why he’s even perched so oddly in front of it. 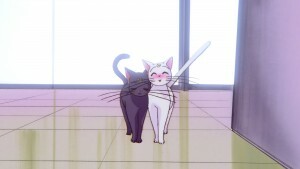 Was this unfinished animation where the Tuxedos weren’t filled in? 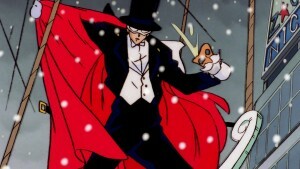 An attempt to keep audiences unspoiled on the nature of this big Tuxedo Mask reveal? 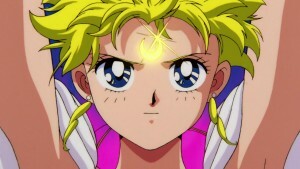 Given what I’ve seen from other Japanese film trailers not giving spoilers doesn’t seem to be a huge priority! 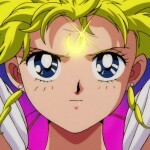 An interesting feature with the R Movie is an interview with Kunihiko Ikuhara, director of the film and one of the directors of Sailor Moon for which much of what made the series great is attributed. Unfortunately without subtitles there isn’t much to get out of this interview as is. 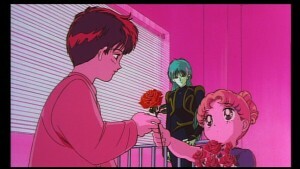 I recall having seen this subtitled on my VKLL fan sub of the R Movie back in the day but what I never noticed previously was that he’s wearing Mamoru’s green jacket! 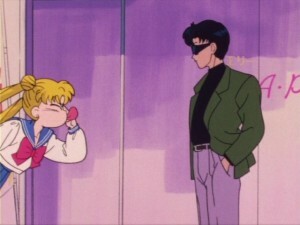 This is a jacket which he wears consistently throughout the entire Sailor Moon series which makes me wonder if Kunihiko Ikuhara owned this jacket and based Mamoru’s jacket on it, if he went out of his way to get a jacket like Mamoru’s or if this is some sort of coincidence and green jackets are more common than I thought. I can’t take credit for noticing this! I believe it was something I saw on Twitter by Tuxedo Unmasked though I can’t pull up the original reference. As you can see in the caption of the photo on this blog post, he made a comment about the jacket at least as early as June 2017! 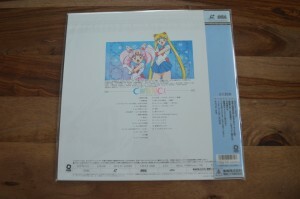 An interesting thing I noticed while looking at the laserdiscs for the films is that the track listings are actually identical. The track numbers for each scene is the same on the old laserdiscs and the Blu-Ray. Similarly we can see from these comparisons that the special features are the same, just not always in the exact same order. 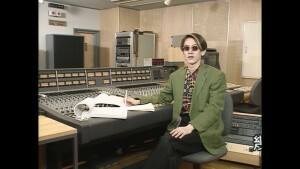 The DVD release also had a lot of these special features included but the Kunihiko Ikuhara interview was previously only on the laserdisc release. 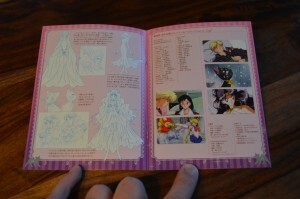 The set also includes a cool booklet which is full of images and character art of all of the films. 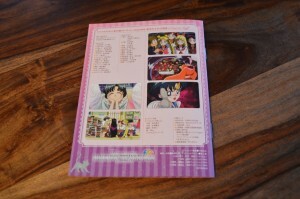 This is similar to the booklets which have been released with the Blu-Ray releases of the TV series. 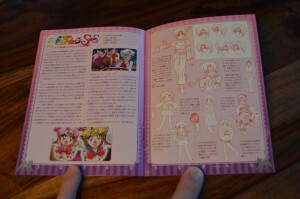 I’ve included photos of all pages of this booklet later in the post. 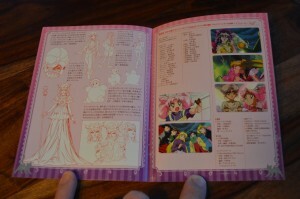 While this is a nice thing to include I think the theatrical programs included with the DVD set were much better. Finally let’s talk about the box art. With three movies there was no single image to use on the cover which covers all three and so for whatever reason the S Movie poster gets the cover. 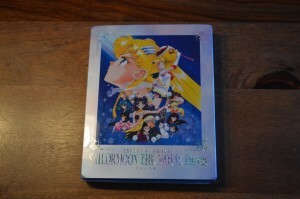 Inside we have the R Movie as the front and SuperS Movie as the back. 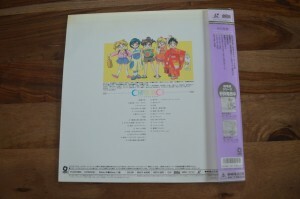 I’m including photos of the laserdiscs for comparison but this is not the source of this artwork. The images used are the original theatrical posters for the films. 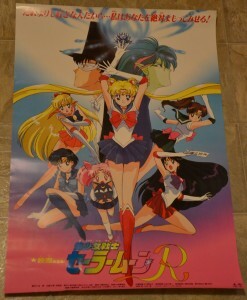 I only have a poster for the R Movie myself! 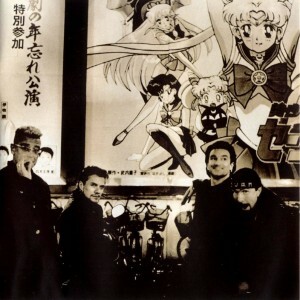 This art is also found on the insert for a U2 CD! All in all this is a great release. Do I recommend it? 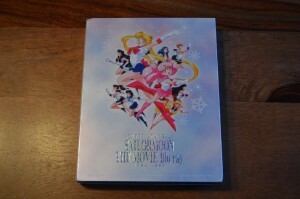 Well it’s in Japanese and has no English so as always that’s of limited value given the price point. These are films I’ve seen a couple of dozen times each so I don’t find it terribly hard to follow along. 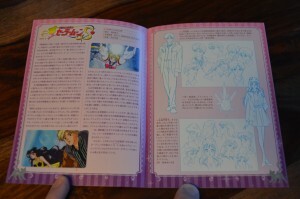 That said there will probably be releases of these films by Viz at some point. This may be in a few years so the set is still worth getting if you would expect to watch it a few times before that happens. Keep reading for more pictures of this release including photos of the box art, screenshot comparisons between releases and photos of all pages of the included special booklet. 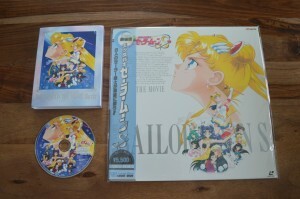 This entry was posted in Merchandise, Sailor Moon Anime (1992) and tagged Ami's First Love, Blu-Ray, Make Up! Sailor Guardians, Sailor Moon R The Movie, Sailor Moon S The Movie, Sailor Moon SuperS: The Nine Sailor Guardians Unite! Miracle of the Black Dream Hole, The Lover of Princess Kaguya by Adam. Bookmark the permalink. Speaking of movies, when are we going to get any new movies? 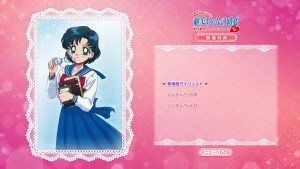 I don’t just mean SMC I mean a new dub of the S movie. Or the 4th season, for that matter! I hope the fact that there’s been a long wait is because they’re planning to release it in theatres! Haven’t heard anything from Viz at this point. 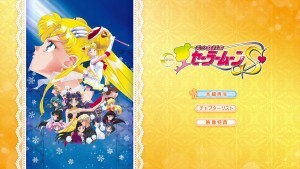 I heard the first part of the 4th Season of Sailor Moon Super S is being released in the VIZ Dub on April 10, 2018. Where did you hear that? I hope it’s correct! I heard it in January, I think. And it will be correct, I assure you. 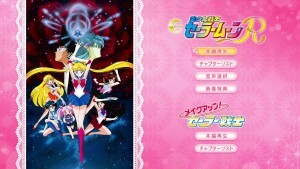 Luke is correct: “04/10/2018 Viz Media Sailor Moon Super S”, information here: http://www.english-dubbed.com/knowledge-bazaar/upcoming-english-dubbed-release-dates/. 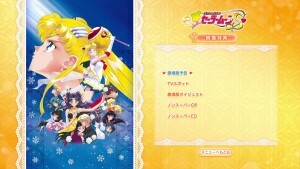 Only Right Stuff has Sailor Moon Super S Part 1 release date as 4/10/18. If you look everywhere else i.e. Best Buy/Amazon/even Viz media’s website the release date says 4/24/18. Can we get some clarification on this??? Well now I must request my library add it to their catalog. Thanks for notifying me, folks! 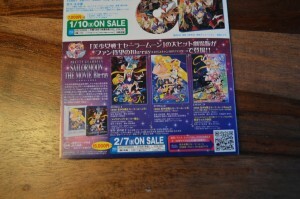 I just messaged Viz Media on Facebook to try and make sense out of this and I was told the street date was April 24th. Oh ok. So they did move the release date after all. I wonder if Right Stuff is still going to be the 10th or will they change it in the next coming days as well. Thanks for looking into this. Looks like most retailers are listing the 24th now so that seems to be the current release date. Thanks for this! It’s great to get a summary, and the image quality is nice! Heh. 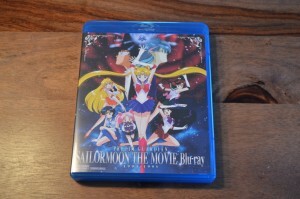 I’ll also chime in–Sailor Moon R: The Movie is also one of my personal favorite films. 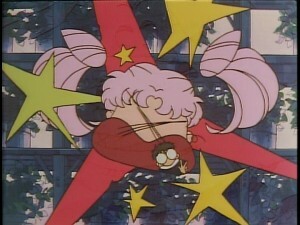 It’s what introduced me to Sailor Moon, way back when I was 14. 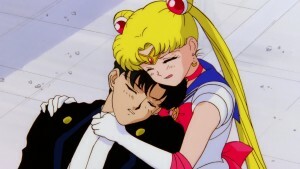 At the time, I was grateful to spend an hour taking a break from harsh reality, but I’d soon learn to genuinely love the characters and that world. Yeah. I’ve got a real soft spot for that movie. Still bummed the nearest theater that played the movie last year (an hour and a half away!) 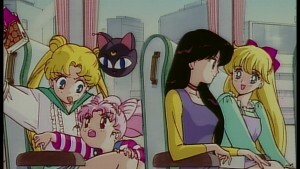 only screened the dubbed version. Never the original with subtitles. I’d have much preferred watching both, but hey. 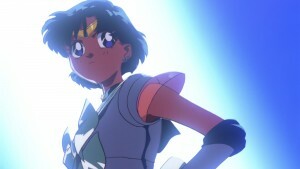 True, I once hoped Crystal would adapt all the specials like Casablanca Memories, which would have go nice into the first season of Crystal, making the friendship between Usagi, Ami, and especially Rei and Makoto way more plausible, while fleshing out Rei, which was and still is the most glossed over character in the Crystal version of the story. @Justme Exactly! 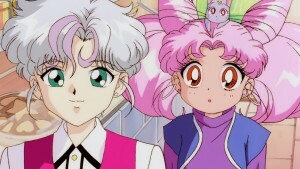 We know character development in crystal as a whole was an issue but these would have been such wonderful additions. 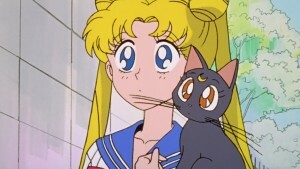 Agree with Adam that they definitely break up the flow of the story line but especially in the older season that’s what I liked- I loved episodes that strayed from the Monster-of-the-Week formula (see Minako’s tragic love and the ski vacation/beach vacation episodes). Oh yeah all of those would have made for great side stories. It probably just didn’t fit well into the TV series. 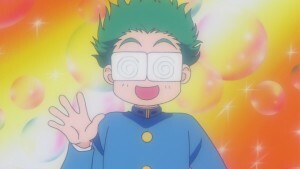 I’m so excited about Anime Matsuri, I’m so hopeful Chiaki Kon will reveal something regarding the movies. It has been so long, I miss Crystal with all his flaws. I can’t believe this! Viz Media pushed the release date back for Sailor Moon SuperS Part 1. 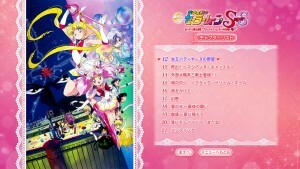 It was set for release on April 10th. Now it won’t be out until April 24th. I am so angry about this. I was looking forward to it coming out on the 10th as well.